If you have gathered anything from reading my blog thus far, it’s that we don’t always plan things out, but for once, we had a plan! Two weeks ago (I know, I’ve been slacking), we decided to go on our first major sailing mission. We were planning to head out for a solid six days or so, and to head up the Sunshine coast. We had laid out all of our maps, and had a rough idea of how far we would like to get each day. It wasn’t an overly detailed plan, but it was far more refined than our usual ‘Let’s just sail around’ plan. 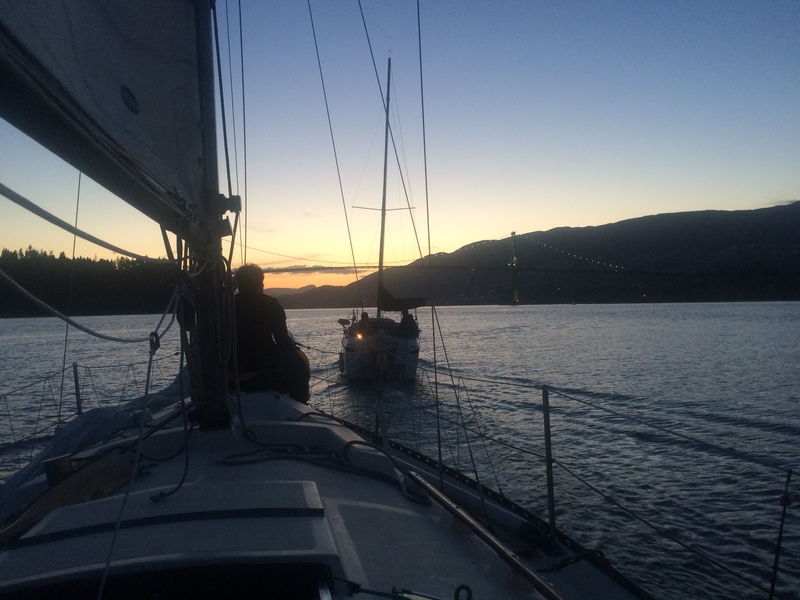 We had decided to leave Monday evening, and only planned to sail around the point to anchor in English Bay. We figured that would save time the next morning, and that by doing so, we could cover some serious ground (water?) on Tuesday. We made it into the First Narrows channel, a narrow shipping lane that we have to pass through at the start of each journey. It was at this point that the plan fell apart. It was an hour or two before dusk, and the tide was not in our favour… Which meant it was the perfect time for our engine to die. We quickly tried to diagnose the issue and get it working again, but had no luck. Rather than getting pushed towards the shore, we put the sails up (technically, boats aren’t supposed to sail in this area, but it a time of distress, we had no other choice.). We tried to sail out of the narrows so that we could still anchor in the bay and deal with the engine later, but the wind wasn’t in our favour either. After an hour of sailing against the tide and only moving backwards, we were able to flag down another boat that was headed out. They were nice enough to agree to tow us out of the channel to where we would be able to catch some wind, so off we went. 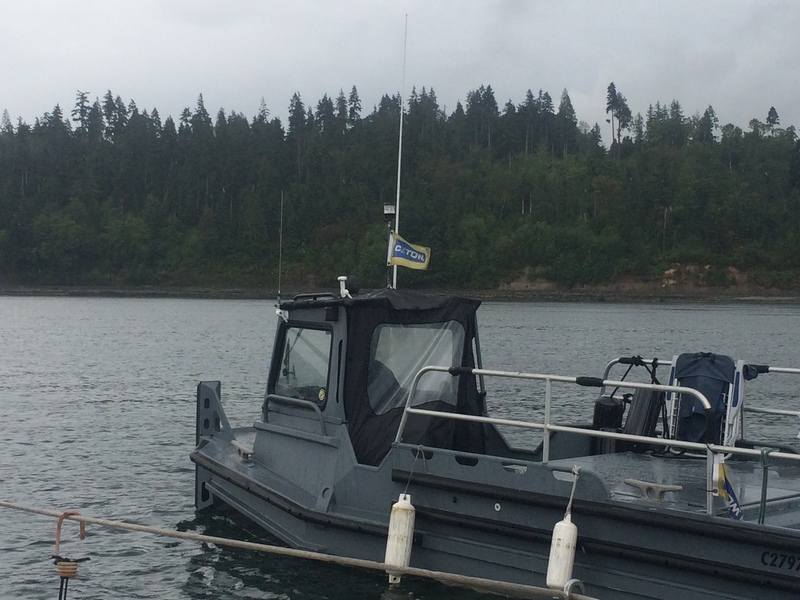 Once we were safely anchored, it was time to get online and research what the issue might be. The next morning, thinking we knew the problem, we all got into the rowboat and set off in search of a new part. A couple hundred dollars later (and a much bigger new part than anticipated), we were back at the boat and ready to get to work. 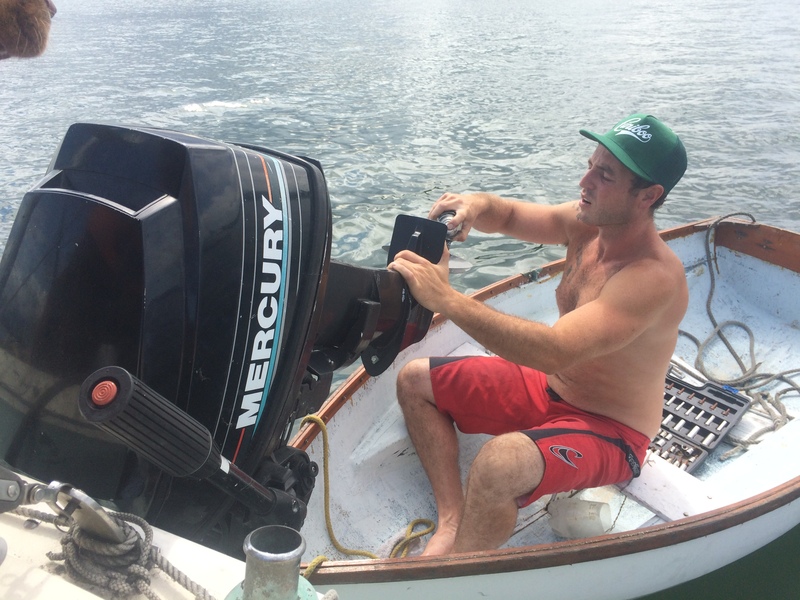 Working on an outboard motor that is attached to a boat that is in the water is just as challenging as it sounds. Alex had to sit in the little row boat and work on the motor while dealing with the constant waves. To add to the challenge, most of our tools are out at the wooden boat, so he was armed with pretty much just a multi-tool and a ratchet set. Given the way our luck was going, it probably shouldn’t have been much of a surprise when one of the key bits fell into the water, never to be seen again. After a couple of phone calls (one to the store to see if it was replaceable, and another to a friend who is a mechanic to see if there was any way to MacGyver it), we called it for the day. The next day, armed with a new plan, Alex made another attempt to get things running. 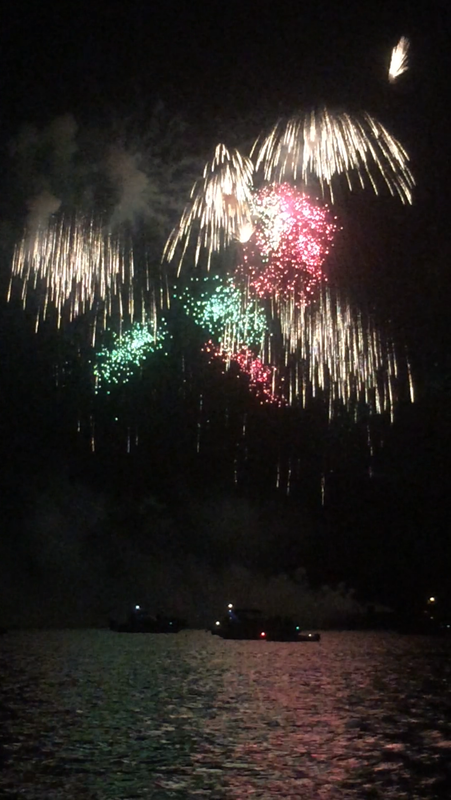 Again, no luck, although while he was doing that, I was successfully enrolling us in C-Tow (it’s like CAA for boats). At this point we had to start to think of a new plan. Knowing that this was the last week that we had for a vacation before I started my new job, we figured that we had two options: keep stressing to get back on track for our mission (which would likely mean having to buy a new motor), or stay where we were and just relax for a few days. It wasn’t a hard choice, and we decided that we would stop worrying about going anywhere, and just enjoy being anchored in the bay. Seeing as Lenny still needs to be rowed into shore multiple times each day, we were able to stay well stocked with food, drinks and ice. Being a former rower, there was never any question about the delegation of duties: Alex would do the dog/food trip, while I would tidy up and then relax in the sun. In the afternoons, we would relax in the sun and swim. Swimming with Lenny is a very intense experience, starting from him getting excited the moment he knows what is going on. This was a lovely vacation – that is, until it started to rain. At that point, food and Lenny runs were no longer an enjoyable part of Alex’s morning. It was also a lot harder to keep the boat in a relatively clean state. Our standard procedure is that Lenny stays outside when he is wet, which isn’t a big deal since we are usually hanging out with him. 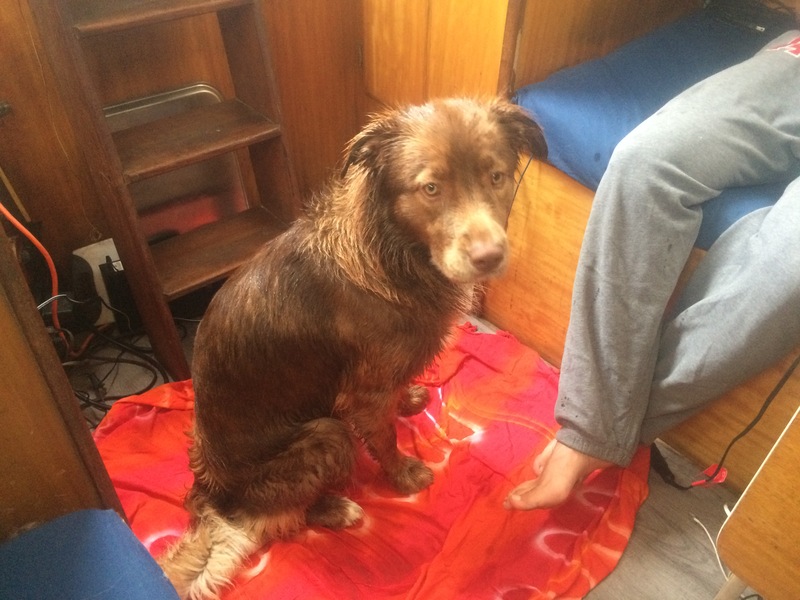 When it’s rainy though, we have no choice but to let wet Lenny into the cabin, and relegate him to a small spot of the floor covered with a sarong. Luckily for all of us, Lenny quickly found a source of entertainment: trying to push all of Lenny-land into his food dish. 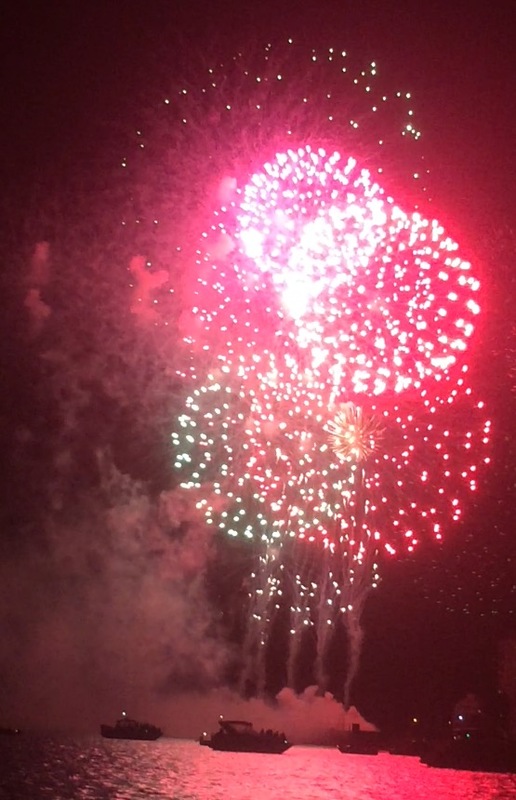 followed by some spectacular fireworks. The next morning we got up to another cold and rainy day. We placed the call to C-Tow, only to have our sneaking suspicion confirmed: they only tow you to the closest marina, and anything other than that is an additional charge. Because that wasn’t our home marina (as we clearly weren’t about to spend a few hundred extra dollars on the tow), we had to put the sails up and sail back towards the narrows to meet the tow-boat there (needless to say, he wasn’t overly happy about that). 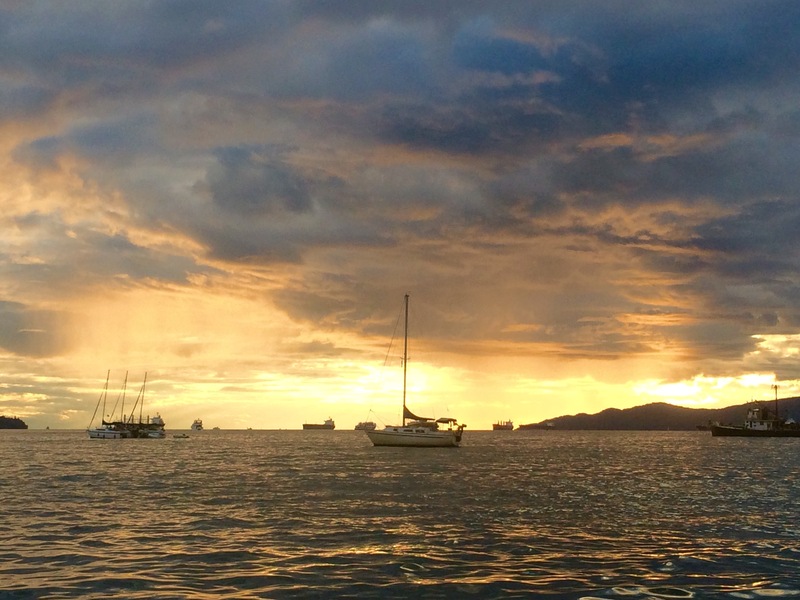 It was our first time sailing in weather that could only be described as unpleasant. 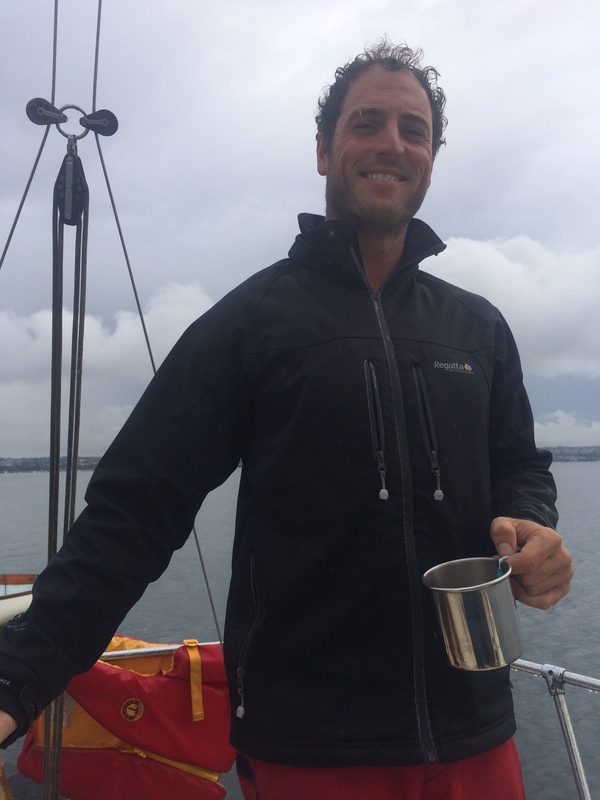 We could have been miserable about it, but instead we made some tea and made the most of it… After all, it was the most sailing we got to do in our week-long sailing mission! Lenny, on the other hand? 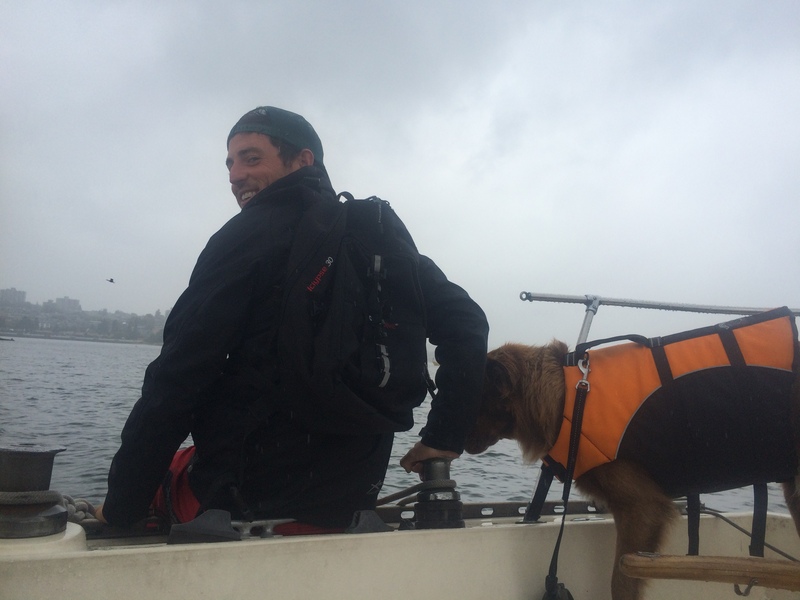 Not overly fond of sailing in the rain. Finally, we were able to meet up with the tow-boat, who made sure that we made it safely back to our dock. All in all, it was still a perfect vacation and gave us the long overdue time to just relax and not do much. We spent a week out on the boat (and I ended up going six days without setting foot on land), and by the end were both nice and rested, and I was ready to start back into the corporate world the next day. 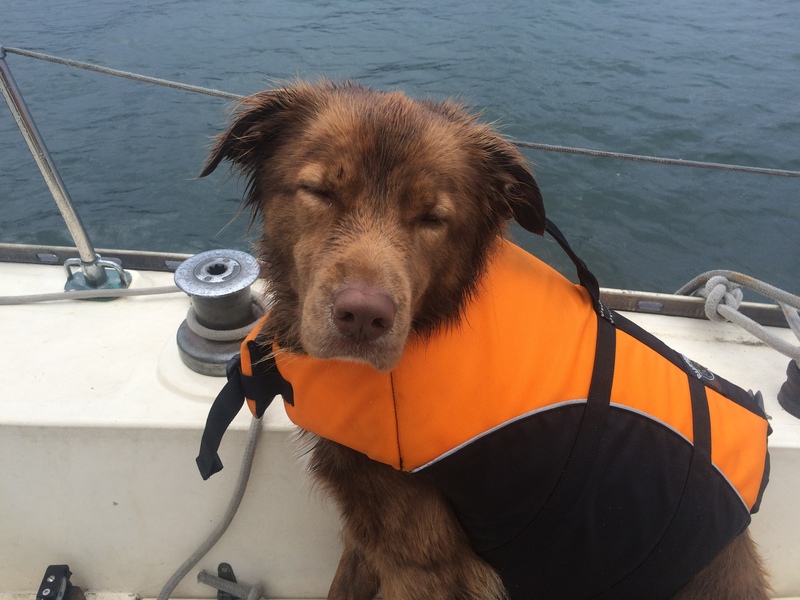 This entry was posted in Uncategorized and tagged adventure, boats, challenge, dog, learning, Leonard, peaceful, sailing. Bookmark the permalink. Was seriously starting to wonder what happened to you. Lovely! Hope the first day on the new job is GREAT. I want to hear all about it.